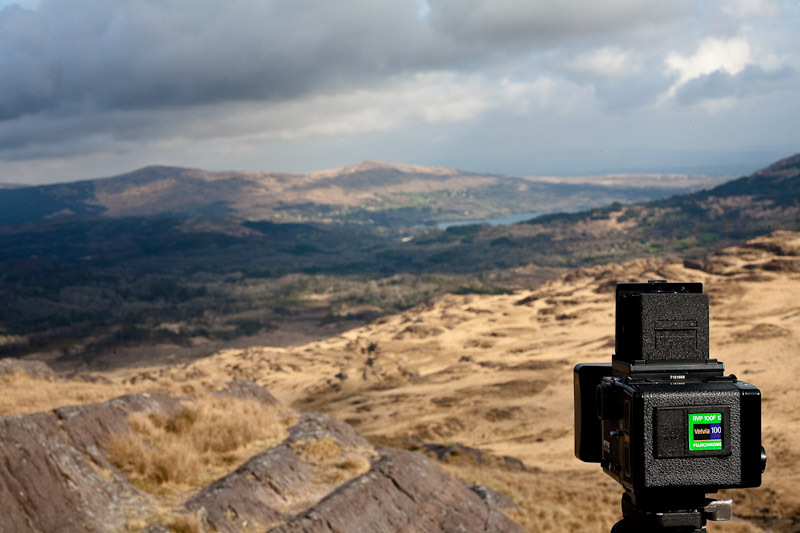 Spending a few days around Cork & Kerry shooting a mixture of Velvia, Neopan and PanF. After (very successfully) developing three rolls of Velvia so far, I have to say that I’m in love. It’s a pain to develop but it’s just too worth it. This is the top of the hill at Barley Lake between Kenmare & Bantry. The lake is behind me somewhere. Must dev those last three rolls soon. I still regret not using up my last 5 rolls of Velvia 50 before I switched to digital. They\'ve been out in the open for the last few years so they\'re well and truly cooked by now, but maybe I should fire them off and see if I get any interesting effects.